I was strolling through the makeup aisle of CVS, my favorite drugstore, I was looking for a pimple popping tool when I came across a makeup cleansing cloth. I know of disposable makeup cleansing wipes and towels, but I have never heard of reusable makeup cleansing cloth. This is not a cotton face towel. The instructions tell you to wet the towel with warm water and just use it on your face to clean your makeup. That is precisely what I did, but it did not clean my makeup off right away, the cloth took some makeup off, but it needed more cleaning. I decided to add my favorite makeup remover cleanser to the towel, I massaged the makeup cleanser into the cloth and proceeded to wipe the makeup off my face; OMG! The makeup began to melt off my face, all I had to do was pass the cloth on my face just once, and everything started to come off my face, my makeup, my mascara and eyeliner melted off my face with little effort. This small cute towel is easy to use and easy to clean. 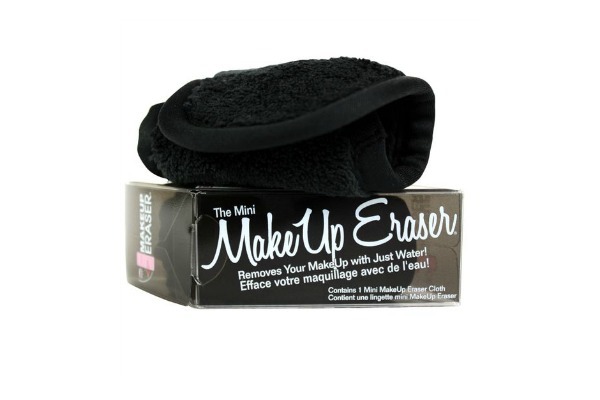 The makeup removal towel is 100% polyester and feels like velvet. When you add water and makeup cleanser, the cloth feels so soft on the skin, and it doesn't irritate your skin. It is different from the disposable make-up removal towels because all you do is swipe once and the makeup is off. You add warm water, so you don't feel the shock of using a cold disposable makeup removal towel. This towel is easy to clean and maintain. After I finish removing my makeup, I use a mild soap to wash the cloth, and voilà, it is squeaky clean; no makeup residue. This towel also cuts down the time I spend to remove my makeup, and that is a huge plus for me. This makeup cloth is the CVS brand "Beauty 360." According to CVS, this plush makeup removal cloth is gentle on skin and easily washes away makeup and oils without the use of a cleanser. Just add water and smooth to face. I prefer to add a makeup cleanser to the cloth to get the job done. I would recommend this facial makeup removal cloth. Have you tried reusable makeup removal cloth? Oh yes! It takes off all the makeup and reveals a clean face. I love it. One of my favorite beauty purchase. I've been skeptical to try this, but I think it may be worth a shot! I just don't understand how it works! Is it magic? haha. Thanks for reviewing, I'll have to give this a shot. Hi Alex! Don't hesitate to try this cloth, you will fall in love. It has totally changed the way I take off my makeup, and also it has cut down the amount of time I spend taking off my makeup. It is the best.